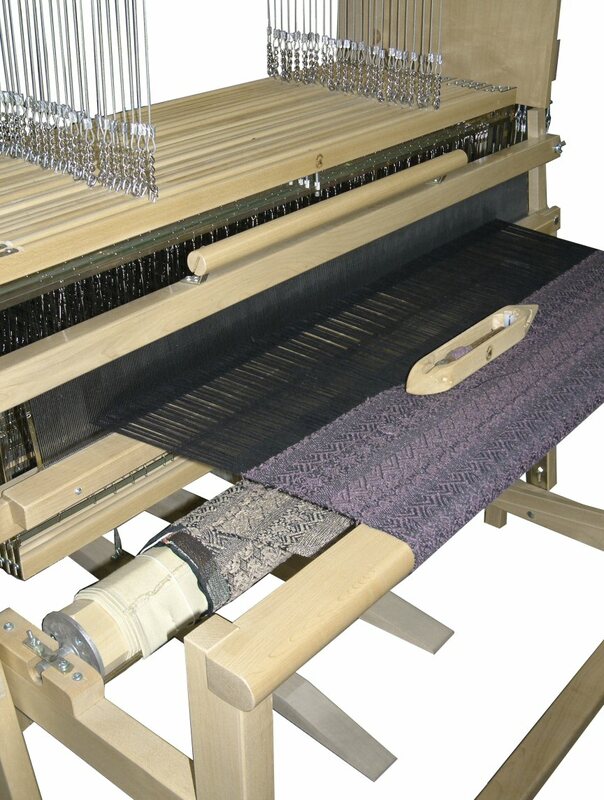 An 8-shaft jack loom requires an average of 40 tie-ups on the treadles. A counter marche requires 80 tie-ups. This needs to be done in a very uncomfortable position. With a dobby loom, you can say good-bye to the tie-ups! A Dobby Loom is a type of floor loom that controls the warp threads using a device called a dobby. 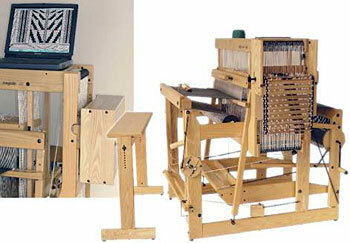 A dobby loom is an alternative to a treadle loom. A manual dobby uses a chain of bars or lags each of which has pegs inserted to select the shafts to be moved. A computer assisted dobby loom uses a set of solenoids or other electronic devices to select the shafts. Activation of these solenoids is under the control of a computer program. In either case the selected shafts are raised or lowered by either leg power on a dobby pedal or electric or other power sources. 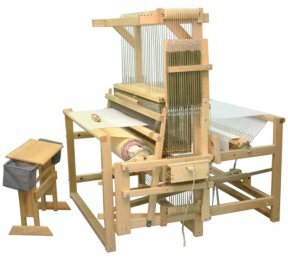 The advantage of a dobby loom becomes even more pronounced on looms with 12 shafts (4094 possible sheds), 16 shafts (65,534 possible sheds), or more. Another advantage to a dobby loom is the ability to handle much longer sequences in the pattern. A weaver working on a treadled loom must remember the entire sequence of treadlings that make up the pattern, and must keep track of where they are in the sequence at all times. Getting lost or making a mistake can ruin the cloth being woven. On a manual dobby the sequence that makes up the pattern is represented by the chain of dobby bars. The length of the sequence is limited by the length of the dobby chain. A computer controlled dobby loom (Computer-Dobby) takes this one step further by replacing the mechanical dobby chain with computer controlled shaft selection. In addition to being able to handle sequences that are virtually unlimited, the construction of the shaft sequences is done on the computer screen rather than by building a mechanical dobby chain. This allows the weaver to load and switch weave drafts in seconds without even getting up from the loom. In addition, the design process performed on the computer provides the weaver with a more intuitive way to design fabric; seeing the pattern on a computer screen is easier than trying to visualize it by looking at the dobby chain. Dobby looms expand a weavers capabilities and remove some of the tedious work involved in designing and producing fabric.